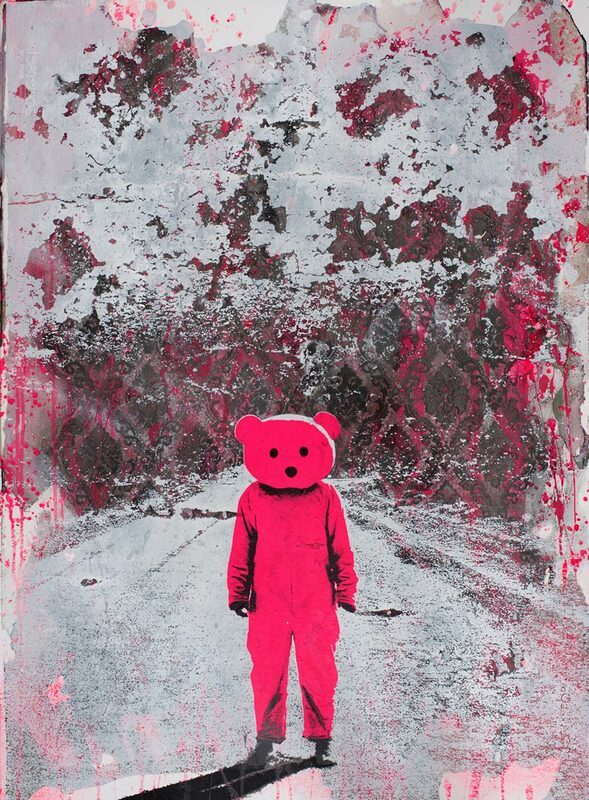 The Pink Bear comes from a childhood memory acting as an alter ego and companion. It is a vessel for exploration and self discovery. This work is part of the 'The Hero's Journey' exhibition by Paul Robinson (2016).